If your car has small dents or dings – from hail damage, for example – our qualified, veteran technicians can remove them without altering your paint job! This procedure will leave your car looking brand new without needing to resort to more intensive body repairs. In many cases, we can provide your car with the necessary repairs to leave no chips or scratches in your paint that would detract from the appearance of your vehicle. 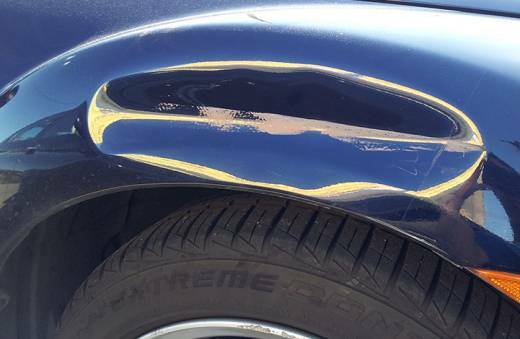 At your request, we can produce a free price quote for repairing the dent on your vehicle. Making an appointment to have your vehicle inspected is preferred. However, for the “need it now” folks, we offer a Walk-In Appraisal with no need to schedule an appointment. We do not provide over-the-phone estimates. Please note that our Walk-In Appraisal only provides an estimate for the repairs needed on your vehicle. Our policy requires that you schedule an appointment to have your vehicle repaired at our shop. We work with all insurance companies. We work with your deductable! 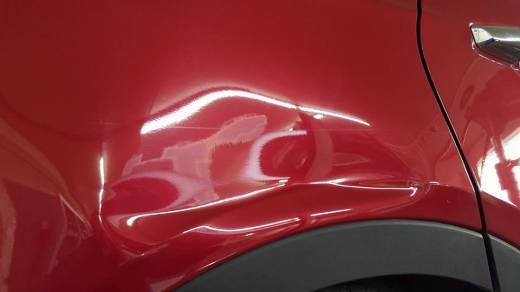 Paintless Dent Repair (PDR) is a high quality, low cost alternative to more intensive auto body repairs. 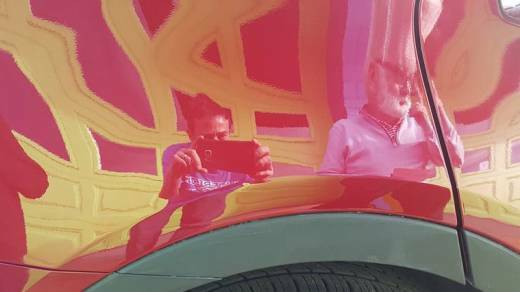 PDR is a small dent repair that involves using specialized tools that manipulate and shape the metal back to its original form without altering your car’s paint job. Unlike traditional dent removal, paintless dent removal does not involve any filler or sanding of your vehicle. PDR is a quicker and more cost-effective method than traditional dent repair. Some minor dents and dings can be repaired in just a few hours. Compare to a conventional repair, which could take weeks. 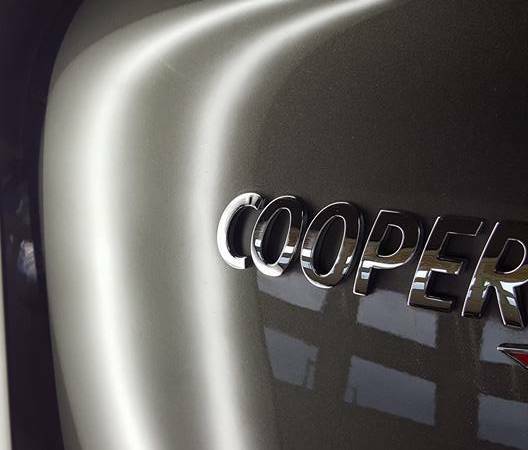 This procedure returns your car to its original look. Our highly trained experts rely not only on their specialized equipment, but also on the utmost precision and workmanship, to make a hail-damaged car look new. However, not all dents are candidates for paintless dent repair. 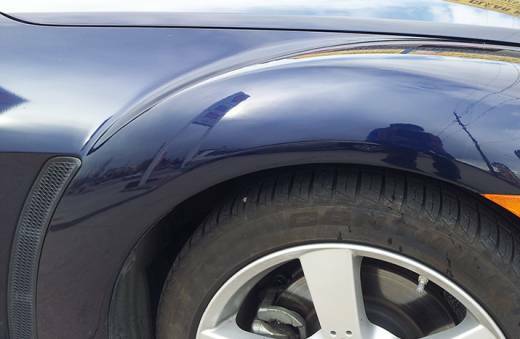 The location and depth of the dent are the main determining factors for PDR. Some dents may be too deep, meaning that the metal is too stretched to be repaired through PDR. The best way to determine if your car would be a good candidate for paintless dent repair is to contact one of our veteran, industry-certified technicians. 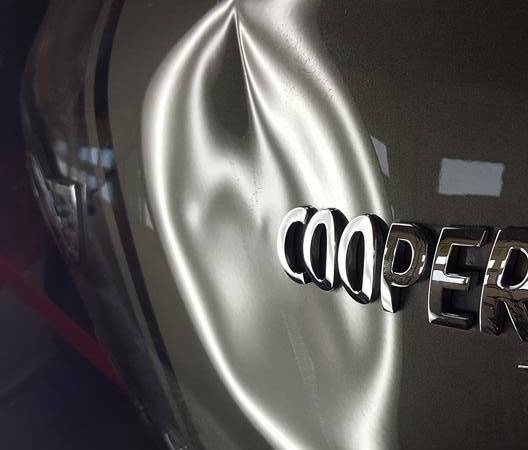 Call Superior Auto Image today on 303-669-1139 to set up your Paintless Dent Repair appointment for an estimate! There is a lifetime repair warranty on all of our repair services! Schedule Your Paintless Dent Repair Appointment Today!